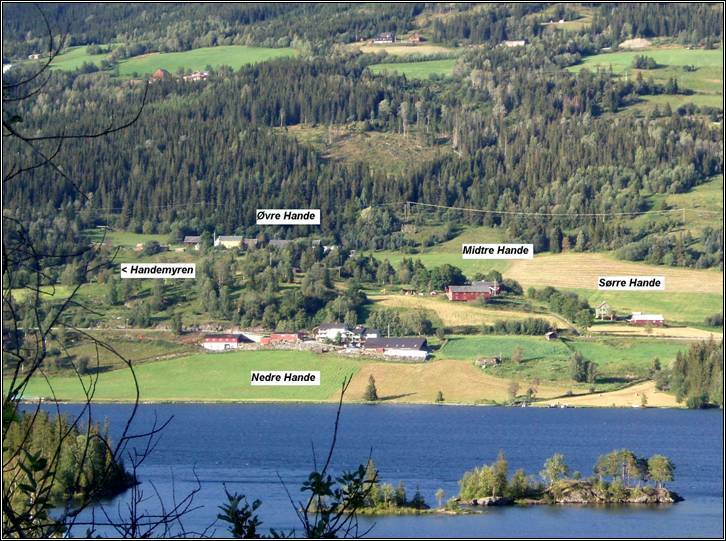 The custom in rural Norway, up to about 1900, was for families to take as their surname the name of the farm where they lived. Thus, a family group could change its name several times over the years as they moved from one farm to another. This would be particularly common among "husfolk" (tenant farmers). People were known by one or two given names, then the patronymic (taken from the name of the father) was included, and finally the farm name was added. As examples, "Halvor Johannesson Hande" or "Inge Marie Nilsdatter Hande." In this database, the surname of the individual at birth is normally considered that person's primary name, although it may have changed in subsequent years. If a search by surname does not find your ancestor, try searching by the first name(s) instead.